Tim and Kelcie have been married for over a year. They eloped in Las Vegas, and then they moved to Louisville, KY from Tampa, FL. Now they’re on the house hunt for their first home. They have a budget of $180,000. Kelcie and Tim both want a unique home. His: Tim prefers a split level home. He needs a home office, so he wants it to be separate from the living space. He also has been doing a lot of research about homes and home remodeling: He wants projects. Hers: Kelcie wants a Spanish or Mediterranean style home. She doesn’t want projects, so she wants a move-in ready space. Kelcie and Tim notice the loud road noises coming from the highway nearby. Kelcie thinks that the home looks too cookie cutter. It’s a split level home with three bedrooms, and two and a half bathrooms. As two taller people, Kelcie and Tim both like the high ceilings. Their realtor Cindy promotes it as a mostly turnkey home. The kitchen is big with Argentina wood cabinets. Some parts are dated but it’s mostly newer elements. They both hate the laminate flooring. The backyard is very big and spacious, which is perfect for their two dogs. However, it’s missing a fence. The place has a bit of extra storage and a potential office area. The master bedroom is huge and the guestrooms are decent sizes as well. Kelcie believes that they bathrooms are too basic. This home is newly updated. It has four bedrooms and two bathrooms. At 1493 sq. ft., it has plenty of space for Kelcie and Tim. It’s a very bright home with laminate flooring. This home also has tall ceilings and decent size bedrooms, and a big backyard–this time fenced. To Kelcie’s horror, the place also comes with an unfinished basement. It’s not exactly split level, it’s half level. The master bedroom has a fireplace and carpet, both things on Kelcie and Tim’s no good list. The half level gives enough space for an office. This home is only five minutes from Kelcie’s work. It’s on a huge lot with a nice big fenced backyard. 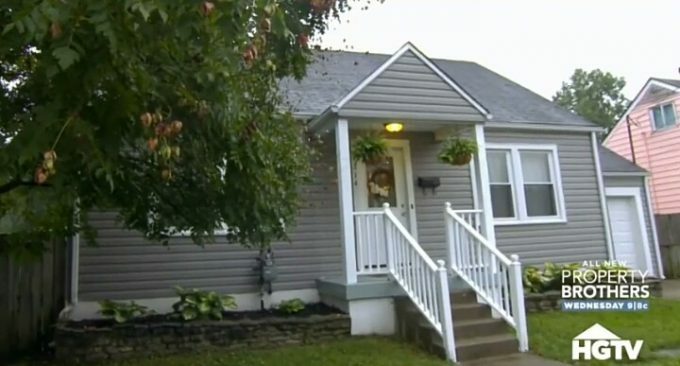 The home also has over 1400 sq.ft., three bedrooms, and one bathroom. It’s also filled with carpet and a quirky fireplace. Kelcie and Tim are excited about the home from the outside and first couple rooms. Then the horror show starts. The bathroom is half gutted and the missing half, including the toilet, is in the master bedroom. The kitchen is also half gutted, but nowhere near as bad as the bathroom. Kelcie just looks at more projects with fear, but a more optimistic Tim believes he can take on these projects. Decision Time: Clearly the wrong answer was House #3, but that’s the one they were going to pick. 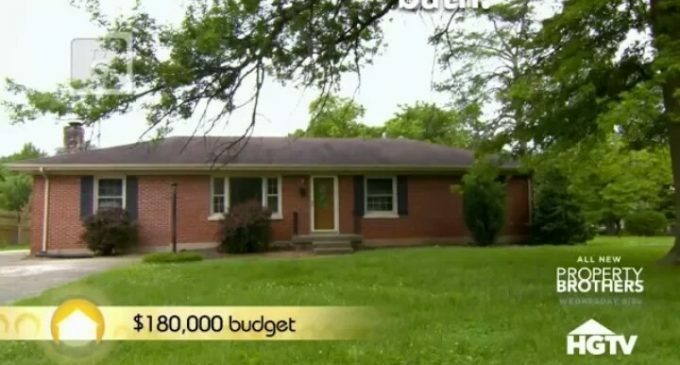 It’s like House Hunters pays these people to be adventurous and pick the homes in the worst condition. It turns out Tim was right. Kelcie and him have only been in the home for two weeks and he’s already finished the bathroom and restored the bedroom to its natural state. They also replaced their roof. Right now, they’re working on the kitchen. 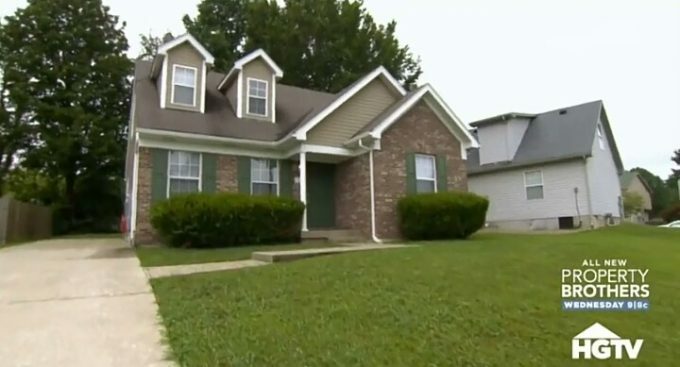 They managed to get the house down from $144,900 to $125,000. We were truly impressed with how Tim had enough confidence and enthusiasm to turn that semi-mess home into a semi-jewel one.